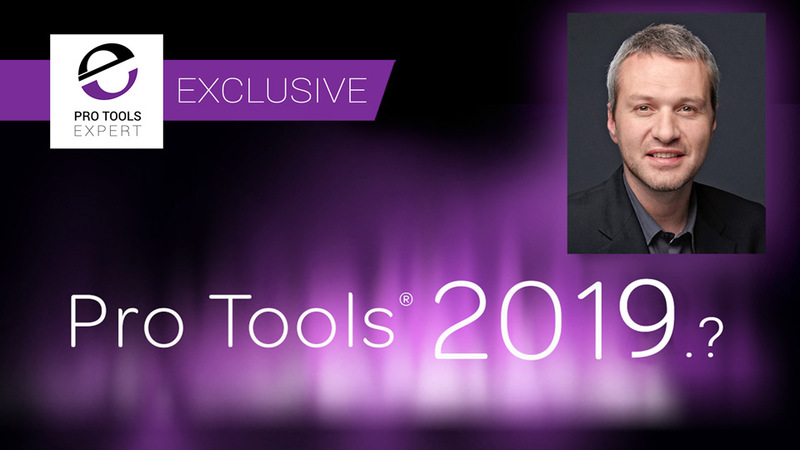 Rather than us adding to the speculation as to what has happened, we asked Avid to explain the challenges they have been experiencing and François Quereuil, Avid’s Director of Audio Product Management gave Pro Tools Expert Editor, Mike Thornton, an exclusive interview. You can choose to listen to our podcast extra podcast interview or read the transcript to find out what has caused the delays with the first Pro Tools release of 2019. We recommend that you read or listen to the interview IN FULL, but if your time is limited then there is a summary of the key takeaways from this exclusive interview at the end of this article. Mike: It's Mike Thornton and welcome to this special podcast extra interview. Today I'm joined by François Quereuil, who according to Linkedin is the Director of Product Management at Avid. Welcome François. François: Thanks for having me. Mike: Now before we go any further could you give us a quick rundown of your journey in this industry to this point and also explain what your current role at Avid is please? François: Yeah absolutely. Am particularly a lucky guy. I went to business school in France and at the end of that I was struggling to find a job that would really match my passion, which was music. I've always been a musician and I've always been recording and I got really lucky. I found an ad at the back of Keyboard Magazine back in 1999 to join Digidesign at the time. Mike: Okay so you're one of the Digidesign boys. François: I am one of the boys. I joined Digidesign back in France in 1999. My responsibilities for marketing for the French region and I quickly moved to the U.K. They asked me to move to the U.K. in 2000 to run European marketing for Digidesign. That meant that I lived in West London for five years and worked at Pinewood and eventually moved to California to run a product marketing organization for Digidesign so that was amazing. I mean they have to say being part of this industry has always been dear to my heart so it's been it's been a really great journey. In 2007 I actually decided to make a lateral move and I went to work for a company called Aspera, a start-up at the time, focusing on transferring very big files over the internet and I had seen the problem being a recording artist and working with collaborators in France. It was always a pain to move sessions from California to France and I saw that they had a pretty big footprint in Hollywood and I was really interested in the technology and I didn't think I would stay there very long but I ended up being there for ten years now and it was a very interesting journey as well. At the end of 2017 I got a call from Tim Claman who is now the CTO of Avid and he asked me to basically put my hat in the ring for the Pro Tools job basically and that's where I'm at now. I joined Avid back again on April 2nd exactly a year ago and the role is Director of Product Management for everything Pro Tools so Pro Tools software, everything that has to do with Pro Tools hardware, so the HDX product, also all of our audio hardware, all the interfaces we make, and our control surfaces from the Artist Mix to the S3 and S6. So these are all things that I look after with a really amazing team of product managers and product designers. Mike: Now Aspera, wasn't it the company that was behind the DigiDelivery system? François: So interestingly what happened is Aspera had started their own way to solve latency in transferring files at high speed and when they saw that Digi and their DigiDelivery solution they figured maybe we can buy that from Digidesign, at the time, and instil our technology into it and have sort of all of that audio post-production market. It turned out that it was not possible and eventually we basically helped a lot of the customers migrate from DigiDelivery every to an Aspera solution. Mike: I knew there was a connection somehow. We asked you for this chat because everything to do with the first release of Pro Tools 2019 kind of hasn't materialised. We've got all this wonderful news at NAMM and then it's all gone rather quiet. And we thought, well rather than speculate about what's been happening, we felt it was better to get the latest news straight from the horse's mouth so to speak. So, François would you share the story of Pro Tools 2019. Because I believe it was originally planned to be 2019 one, due to be released in sync with NAMM this year? François: Yes. And I'm really glad you're giving us this opportunity to explain what the journey has been because it's been a tough one for the development teams and us in product management. So yes, you're absolutely right. The original intent was to release Pro Tools 2019 at NAMM and we tried our hardest to make that happen but we quickly realised in the month of January that some of the things that are part of this release are pretty deep in Pro Tools and specifically this feature that we referred to as non-stop playback or continuous playback. For all Pro Tools users out there, you all know this, whether you're running Pro Tools natively or whether you're running Pro Tools with HDX, if the transport is running and you do anything in Pro Tools, you had a track, you had a plug in, you create new tracks, you delete tracks, it will create a pause in the Transport or create some sort of audio glitch and we felt it was time to really sort of renovate that part of Pro Tools so that Pro Tools will feel nimble, that it doesn't have this glitching or this pausing of the playback, when you do things as the transport is running. For many people it's become something they got used to, it’s not that big of a deal but it really breaks your flow. It really breaks your creative flow and we really wanted to fix that. So, we embarked on that probably at the middle point last year, working on this feature and it deals with some of the basic fundamentals of our Pro Tools reads and writes audio. So, it ended up being a lot deeper than we thought. Also, we tried to make it as ambitious as possible, so that as many things you do in Pro Tools would not impact playback at all. In January in the ramp up to NAMM, as we were doing this, we realised that we wouldn't be ready. There were still too many bugs too many things that we need to fix. We made a decision, because we felt pretty confident at the time, that the release would happen within about four weeks of NAMM and all indicators were pointing in that direction. We basically said okay we're going to preview it at NAMM, I think it's important that we show a number of things, this, [non-stop playback or continuous playback], which we think is a pretty significant upgrade to Pro Tools. We added more MIDI tracks, so you can now have up to 1024 tracks, we also wanted to showcase our voice count increase on the HDX and obviously we'll have Mojave support, which has been a big request from that from the marketplace. We wanted to show it to let people know that it was coming. We were definitely aiming to release this by March and obviously now March has come and gone. I'm obviously looking at the Internet and I see folks on forums. I've seen some good April Fools about Pro Tools being released. Mike: Which on this occasion, not guilty, we directed our April Fools in a different direction this year. François: I mean it's only fair game and I know there's a lot of anticipation out there we had said something would come out and we were actually really on track, everything was looking good for a 2019.3 release at this point, but we encountered a new issue and that's the one that is putting us back quite significantly and unfortunately our users will have to wait another month to see this upgrade of Pro Tools. Mike: What's the issue that slowed things up this time. François: Interestingly enough it did not show in the early testing and we don't really have a good explanation why, but this issue bubbled up over the past two to three weeks where our beta testers were reporting more streaming errors and those two types of streaming errors and Pro Tools one of them is pretty benign. You get an error and you can keep working, you stop, you restart, everything's fine but there is another one which basically is a streaming error at the hardware level at the HDX level. I should have mentioned that from the start. This is an issue that we've identified on HDX only. And I thought, where does this steaming error come from? And interestingly enough it's in few cases, as far as we can tell it's only in 15% of cases of our users and sort of the number of cards that they have. Mike: Would it be fair to say that the problems are across the board or only when sessions get heavy. François: I think that the fundamental problem is actually across the board. But it does exhibit itself on the sessions that are a little bit more complex and we've identified that it's directly linked to the new firmware that we've created on that flashed directly onto the HDX cards. Mike: So presumably that that's the HD driver that we often have to install when a new version of Pro Tools comes on, that kind of does all of that in the background? François: Exactly. It tells you what needs to be updated and it actually flashes a chip on the card itself with new software and this included obviously the expanded voice count. We were pretty confident that we could achieve 384 four voices per HDX card and that's what we coded in. And we also had a few optimisations that we put in there that were at Apple's sort of suggestion. They said oh it might work better if you guys do this. We did all this, and everything was running fine and then as I mentioned, like in 85% of cases, no problem, everybody was getting 384 voices out of an HDX 1 system. And actually, this new version of Pro Tools seemed to be even more stable with more bugs fixes from any release we put out in 2018, so a really solid release except for this one problem. And we did some extra testing, we tried to figure out where does it come from, so we identified it as the firmware, like is it card specific and we can't really tell. So, there's just like 15% of the time, we have this issue and obviously there's thousands of HDX cards out there and 15% is not an acceptable number for us to release it as it is now. Mike: I described this increase in the voices on the HDX systems, as trying to fit a quart into a pint pot, in the sense that up until now the whole HDX system, and TDM before it, was all based around time division multiplexing, dividing slots up into, in this case 256 slots, and that gives us the voice count or the maximum number of audio tracks that you can work with at any one time and that was how the architecture was structured for 256 slots and so presumably the challenge was to effectively get the hardware and the architecture to now function with 384 slots. François: Yeah. So it's interesting because I did actually have that conversation with our head of engineering and it seems that architecturally speaking we're actually okay, like it seems like because we have a couple of FPGAs is on the HDX cards and there is a link between them and it's the optimisation of this link that would allow us to increase the number of audio streams effectively that we can deal with on a given card. So, it's all about optimisation to get the extra voices. But yes, you know you've got a certain architecture that's been devised for a particular use case and we're trying to squeeze more out of it, so of course there is some risk inherent to that and we're basically seeing it now as it's been tested in the field. Mike: Am I right in saying that the next release in about a month's time will actually provide additional voices so the 384 voices will be available with this next release, the first release of 2019, will have 384 voices for standalone Ultimate software and Ultimate software with the HD Native card? François: Yeah that's correct. We've made that decision. So as we looked at this issue and decided on a course of action, because we have a lot of goodness in this Pro Tools release and we really wanted to get it out to the world as soon as possible. There's definitely a lot of things that will first of all enable people that have new Macs and have Mojave and need to run Pro Tools on it. So that's a big deal and also getting this non-stop playback functionality as well as some of the other bits and pieces that we've put into this release. So what we decided to do is to forego the current new firmware flashing on the HDX cards, which would have yielded more voices and we're going to tweak the existing firmware and test and that's why we need a few weeks because we need to test it thoroughly and make sure that HDX still performs like we wanted to perform. So HDX is not going to see a voice count increase in this next release, which we expect to be in the first week of May, so it will be 2019.5. However, everything else that we published as far as functionality is going to be included. As you said, it means that Pro Tools Ultimate standalone and Pro Tools Ultimate running with HD Native will start at 384 voices and then you'll be able to add some voice packs, of 128 voices, if you need to go all the way up to 768. And one of the reasons that we decided to do this is a big request from our users saying, hey we sometimes we have this massive session that we've created in the studio with HDX but we need to do some tweaks or we need to monitor it in stereo and do some editing in a smaller room, that's just running HD Native or even just running Ultimate in the standalone fashion and we want to be able to open that same session. So that's the key. Mike: Yeah absolutely. I was talking with a high-end dubbing mixer, only a couple of weeks ago at AES in Dublin and he was really interested in the voice count increase. One of his concerns is the challenge that you've done a project with an HDX 3 system so effectively the maximum 768 voices and then there's a tweak needed, as so often is the case, and you can't get back into that room with the HDX3 system, to be able to open that project and session up on a standalone system or a system, as you say with HD native, to be able to open that, make those tweaks and then save it would be a really really good option to be able to have so that we're not tied to having to open a big project only on an HDX system. So no that is really really good news. François: Yeah and you know we went out to market and said hey we're going to give you 384 voices as part of the basic package of Ultimate and we wanted to stand by that. It will address most workflows, by the way I think most people that use Ultimate will be fine with 384 voices and for these specific cases in which you have to get a bigger session and open it and work on it, you will have the ability, very cost effectively, to go up to that number of voices. Mike: And with regard to HDX, it's going to be take you a little bit longer to hopefully bottom out the issues and then HDX to be able to offer 384 voices for an HDX1 through to 1152 voices for an HDX3, that will come hopefully in due course? François: I think hopefully it is the term. That is absolutely the course of action we're taking. So, we've already started work on figuring out what the issue is and eliminating those 15% streaming errors and our goal is to provide 384 voices per HDX card and giving you all the way up to 1152 [voices on an HDX3 system]. Now there is still a slight sliver of uncertainty from our engineering department. I am pretty confident it feels to me like we are going to achieve this, but my engineering director is basically saying don't say it's going to happen because I want to leave no stone unturned. So, over the course of the next couple of months I think we'll have better visibility on what will happen but that's definitely our objective. Mike: Great. 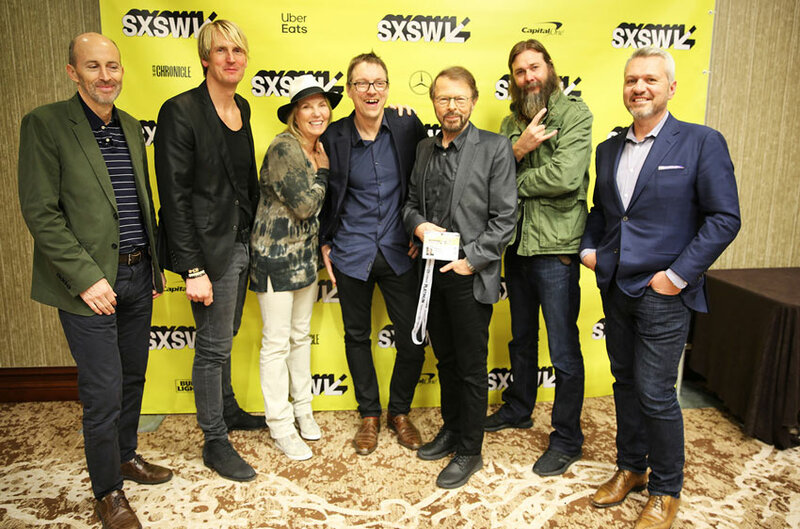 I noticed when we were covering the new Swedish tech start-up Session, that you were on the photographs with the crew from ABBA and the other team behind Session and of course what we heard in that news story was the intent that Avid will be able to support this sort of additional metadata in Pro Tools. Now of course the story was largely about Session, but of course refers to the feature being built into Pro Tools. Could you perhaps expand on how you plan to implement the Pro Tools side of this feature so that metadata based on musicians who've played on the track, whose mixed it, all that metadata, which if fed through the system means that those people can receive the appropriate payments. How will it show itself in Pro Tools? François: So, first of all you know we're particularly excited to work with various companies, and Session is one of them, to address this issue. I mean like if you look at the music business today there's a lot of things that still happen very manually. You know, you have to submit Excel spreadsheets or actual paper documents and keeping track of that throughout the production process and actually making sure that everybody that contributed to a recording is credited properly is a nightmare. There's actually a lot of money that goes into the wrong hands. Now what's really wonderful to me is to see that obviously there are companies out there like Session who want to fix this problem. But the record companies and publishers also want to fix this problem and the folks from the rights societies worldwide also want to fix this problem and home in on a sort of a generic solution. The guys from Session have been talking to us for a little while and we met them a few times over the course of the last year. Instead of thinking how does this… because they have the back, they have the database, they have their way to gather the information and can link it to a recording. So that's their technology but it's kind of an after the fact sort of solution. And their goal was to basically have an ability to capture all of this data at the point of where the truth is there, the point of recording when folks are actually in the studio and contributing to a recording. So earlier this year we actually got together with their technology team to do some design work and basically think about what is the interaction in Pro Tools that will lead to this being sort of a streamlined workflow for people involved in recording. So, to answer your question it's actually really simple. Let's say you're done with the session and you're at the final operation, you're going to bounce your track to disk. The Session option will be a checkbox and interestingly enough it's not going to be exclusive to Session. We're obviously going to be able to open up a similar capability to other companies out there at the solutions in that realm. But we started working with Session first, so that's sort of the design demonstration we gave at South By Southwest. The idea is you bounce to disk, you click the Session icon and once the bounce is done it actually calls up the Session app, which the engineer in the room will actually have the responsibility of manning that, but they figured out some pretty nifty tricks as to if artists or songwriters producers in the room have their cell phone, with their session app on them and they're on the same network, the Session app and that's tied to the Pro Tools recording system, will actually recognise people in the room and they'll all be able to say yes I was here, this is what I did on the recording, all of that gets packaged up with the final bounce and stays with the final bounces and is recorded in there in a database which basically holds the truth for that recording at a given point. That's the sort of the basic idea at first is to do it and bounce level and we're starting to do some actual development work this year. I don't think it's something that will actually be market launched in 2019 but we are we're definitely striving to get something out in the early part of next year, that includes this solution and then the next step would be to enable that, maybe at a track level, or even a clip level, so that you have a lot of granularity in knowing exactly which piece of audio is attributed to whom. But the first part would be pretty simple and make it part of the bounce process. Mike: Yes I have a small publishing company and doing in this case for the UK MCPS and PRS returns and having to pull all the musicians, make sure I've collected a database with all the musician’s PRS numbers and then log everything, as you say manually, albeit now into an app online rather than what I used to have to do, which as you say, is bits of paper, but I suspect there are some collecting agencies that are still using paper. But yes, anything to simplify that would be great. And of course obviously now where we're getting to the point where we've got streaming services playing out files to have that metadata embedded so that the streaming services know, yes that's being played and we need to account for that amount of money to each of these people as a result is all going to make that so much easier and also most importantly make sure that musicians get paid for what they've done. François: Yeah absolutely. I feel like we have a responsibility to be involved in any such initiative because we're one of the one of the tools that are being used to create music and in many cases even if music has been created in other apps, it may well end up in a Pro Tools rig at the very end of the production process, so I think it's really important that we have this capability. Mike: I want to come back to Pro Tools 2019 and just pick up on one of the features that I believe will be in the next release and that's the multi-seat licensing because again this was something that you announced back at NAM 2018, the idea of being able to have effectively a single iLok on a computer somewhere on a network, which stored all the licenses, so that we didn't have to have iLoks attached to every single computer using Pro Tools and the associated plug-ins and I see that the network licensing, the multi-seat licensing, is finally coming to fruition, presumably it will be in the 2019.5 release? François: Actually, it will be before that. We are making this available as early as next week. April 8th is when this will actually make it to market, it's really tied to technology from PACE, the people who make iLok. So, we've made it happen. We'll have more information on the pricing for a number of seats and all of that will be announced on the first day of NAB I believe. Mike: Wow. Well that's certainly news and, I think for me, the whole concept, especially in educational establishments, but also in big multi studio facilities not to have iLoks, which of course are a very valuable commodity, you know essentially it's worth the value of all the software and plug-ins licensed on it and so to be able to have that security that the iLok with the multi-seat licensing being in a room securely locked away, out of the way, but still be able to run Pro Tools in labs in universities et cetera is long overdue. And it’s really good news to know that its coming now, not even having to wait till 2019.5, that it [multi-seat licensing] will be coming out next week. So really good news. François: Yeah, it's very exciting to us and there's so many things, and as you said, it really is aimed at the education market and that's a huge demand from that world. And also, like sort of larger facilities, or larger companies, that need to manage a number of protons licenses. So that's pretty exciting. Another thing that I don't think we've mentioned in any conversation is slightly unrelated but very good for education as well. We are going to enable local save with Pro Tools First and that said that's actually between you and I and your audience, it's actually already happening. It's an entitlement that's happening already in people's accounts. And basically, what this is what it will do. You will still have three projects that you can have in the cloud, that you can sync with your Avid account and your cloud, but you'll also be able to save as many projects as you would like on your local hard drive. So definitely making Pro Tools First more capable and allowing folks who are experimenting with Pro Tools First and sort of getting into our world, to do more work and keep it on their own workstation. Mike: But the local save will save it in a Pro Tools Project format, so it wouldn't necessarily be something somebody could save on their local computer and then hand to a conventional Pro Tools Native or Pro Tools Ultimate user to open, but it does mean that you're not tied to having to have the cloud connected and active when you're working with Pro Tools First because of the way that you can now save your Pro Tools projects in Pro Tools First first locally. François: Yeah that's absolutely correct. Mike: Wow so that's really good news again for people who are wanting to dip their toe into Pro Tools because it certainly has been in the past somewhat of a sticking point. Only being able to work in the cloud and obviously the 3-project limit. So that's again really good news. Francois thank you so much for taking the time to speak to us. Much appreciate it. And we look forward to more developments with Pro Tools in the coming months. François: Yeah, we're really hard at work and I think our community is going to be quite impressed with the things that we're currently working on. Mike: Good, we look forward to it. Thank you very much. The latest version of Pro Tools was due to be a 2019.1 release, but the challenges to get the non-stop playback or continuous playback feature working have delayed the release. It was then due to be a 2019.3 release, but late in the testing phase, issues with the additional voices on HDX systems started to appear, with around 15% of systems tested having an issue with streaming errors. This is why they had to cancel the planned Pro Tools 2019 release. The plan for now is to revert to 256 to 768 voices for HDX systems, which involves new firmware for the HDX crds and time to fully test the new firmware before they can release the first release of 2019, which Francois confirmed would be 2019.5. However, they are honouring the announcement of more voices for Pro Tools Ultimate Standalone software and Pro Tools HD Native with Pro Tools Ultimate in the upcoming 2019.5 release. These users will also be able to buy or rent voice packs in blocks of 128 voices up to maximum of 768 voices, to match the maximum voice count for an HDX3 system. They are continuing to work on getting the extra voices for HDX systems but they do not have a timescale for this yet. We discussed the new Session app with Creator Credits and how this will be implemented into a future version of Pro Tools in 2020. We learnt that multi-seat licensing, originally announced with the release of Pro Tools 2018.1 will not have to wait until the release of 2019.5 to be implemented. Multi-seat licensing should be available from April 8th 2019. This will be great news especially for educational establishment. More information to follow. Francois explained how the new feature for Pro Tools First users, being able to store more than 3 projects locally on a user’s computer and choose which 3 are shared in the cloud and that Pro Tools First users won’t have to wait for Pro Tools 2019, that this is an entitlement that is already happening in user’s accounts now. We are really impressed that Avid have been prepared to put up Francois for interview, who is in charge of Pro Tools and for being so open about the challenges Avid have faced and the timescales for the solutions. For us, this is another example of changes to Avid that CEO Jeff Rosica has put in place since his appointment, and Mike witnessed first hand at IBC in September 2018. Watch out for more coverage on these developments, especially over the next few days with more on what will be in Pro Tools 2019.5 and the results of the 2019 ACA Vote. Avid Release Unlimited Projects On Local Storage For Pro Tools First Users.